Village Photography joined the National Portrait Awards in 2017 in which we were incredibly proud to be raising funds for Cardiac Risk In The Young. The competition in 2017 was for 2 generations. 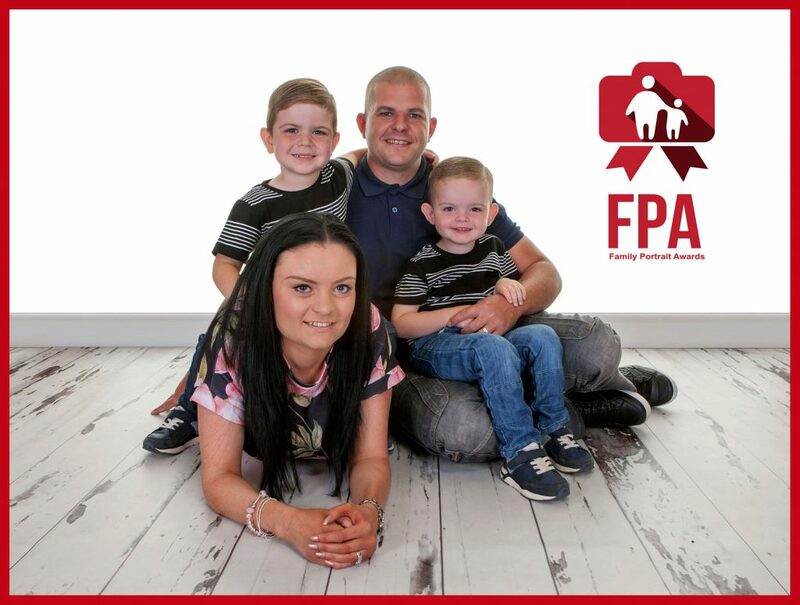 Award Winning Village Photography are once again the only photographer in the North East taking part in the 2019 Family Portrait Awards. As your local approved and recommended ‘Family Portrait Award’ photographer, we are excited to invite you to visit our studio for a professional portrait session where we will spend time creating stunning images in a relaxed environment. To enter all you have to do is call Judith on 07947153935, or complete the registration form and Judith will then call you back to book your children/family in for their session. The cost to take part is £10 per family which is donated 100% in full to Cardiac Risk In The Young. Our Competition is open for all with a number of combinations ie, Children with Parents, sibblings, Children with your pet dog, Gererations shoots to name just a few. Due to the high number of sessions please arrive at the studio 5 mins before your allotted time slot. If you are late you may be asked to return at a later date. Our Studio is based at 16 Mountbatten Avenue, Hebburn, NE31 2QP. Your Portrait Session may include upto a maximum of 8 family members. You will be asked to pay your £10 donation at the time of booking, if you fail to arrive then the £10 will still be donated to the charity. Competition is open from the 1st December 2018 until 1st December 2019 for all entries. All entries from my studio will be judged by another photographer from another studio who will choose 1st, 2nd & 3rd from all of Village Photography’s entries. Winning entrants will be asked to return to the studio to collect their prize and may be asked to have a photograph taken accepting their prize. All winners and results will be with me by the middle of February 2020. The judges decision is final and we have no involvement in the judging of our own studios entries or the national competition. We will display the 3 winners from Village Photography’s competition below.